It seems like there’s an emoji for everything — from the world’s favorite cry-laughing face to one of Twitter’s least popular emoji, the aerial tramway. The Unicode Consortium (the group who decides what emoji make it onto our phones) has managed to clog up our keyboards with hundreds of emoji that we’ll probably never use, I mean, when was the last time you used the ABCD emoji in conversation? But while there seems to be an emoji to represent everyone and everything, a significant group has been completely left out — the transgender community. Charlie Craggs, a British activist and author of To My Trans Sisters, has started a campaign, #ClawsOutForTrans, criticizing Unicode for ignoring the transgender flag emoji in favor of the lobster and the pointless ‘person in steamy room’ emoji earlier this year. The campaign calls for 2,500 signatures and it currently sits at 2,087. The campaign is a fight for visibility, within both society and the emojiverse. If you agree that the transgender community needs equal representation, just like crustaceans do, then sign the petition. Emoji designs and ideas can be pitched to Unicode by anyone, but ultimately they have the final say. For the past two years, the Transgender Pride Flag (blue, white, and pink) has been the most requested emoji after the Gay Pride Flag appeared on our phones in 2016. 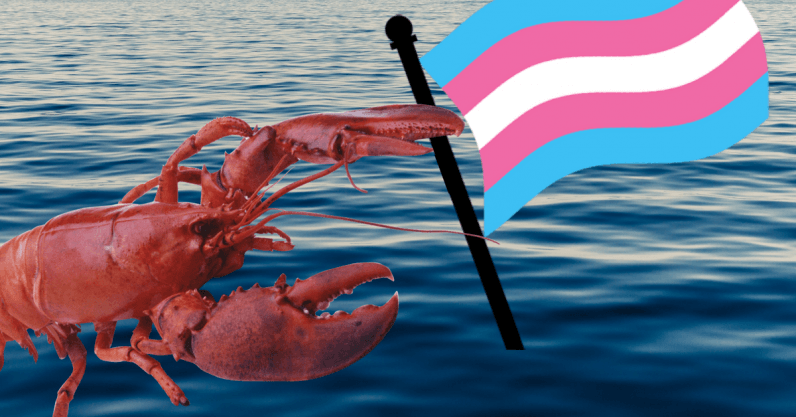 Since Unicode have showed no signs of releasing a Transgender Pride Flag emoji anytime soon, the transgender community has adopted the lobster emoji as their surrogate representation. You may be wondering: why a lobster? Lobsters can be gynandromorphs, meaning they have both female and male characteristics. The biggest issue here, and an important one to ponder, is why a lobster emoji was released before Unicode ever thought of representing the trans community with their flag. Until a Transgender Pride Flag joins the other 3,000 emoji available on our phones, the trans community will continue hijacking the lobster emoji.